Five standard Fitmesh sizes, also for Classic Avatars with Alpha Layer. 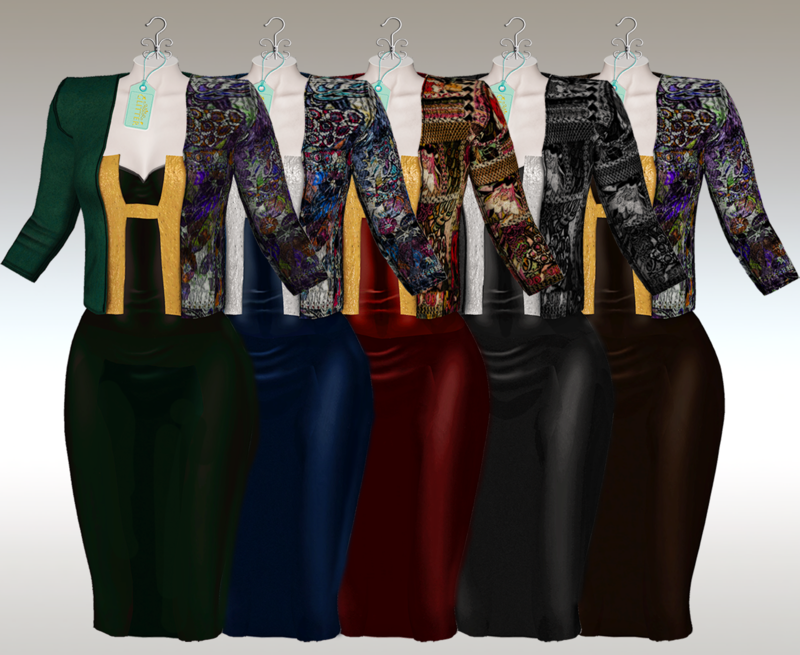 Available separately in 4 elegant colors and Black plain color as BONUS added JUST on texture hud. Aiko Neon is a long fitmesh dress in 5 standard sizes and for mesh bodies Belleza (Venus, Isis, Freya), Maitreya, Slink (Physics &Hourglass), Tonic (Fine Beauty & Curvy Beauty), TMP , eBody and Ocacin. There are alpha layers for classic avatars it comes in 6 beautiful bright colors and they give you that elegant sophisticated look. Available in colors separately and in fatpack with texture hud. For the last days of summer Glitter created this cute and fresh fitmesh outfit, wrapped top in mesh for 5 standard sizes, fitmesh in 5 standard sizes and also for bodies: Maitreya (2 sizes), Belleza and Slink (Physique and Hourglass). Shorts are presented mesh in 5 standard sizes, Fitmesh in 5 standard sizes and for bodies: Maitreya, Belleza (Venus, Isis, Freya), Slink (Physique and Hourglass), Tonic (Curvy and Fine), TMP and eBody. Alpha layer included for classic avatars. Available in elegant colors separately and in fatpack with texture hud.